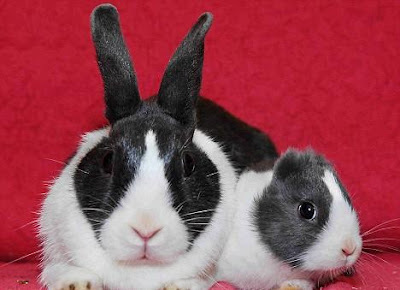 They're known for their long ears, so imagine John Haigh's surprise when his pet rabbit gave birth to an earless bunny. Vincent, in honour of the Dutch artist Van Gogh who famously cut off his ears, was born without those prominent characteristics. 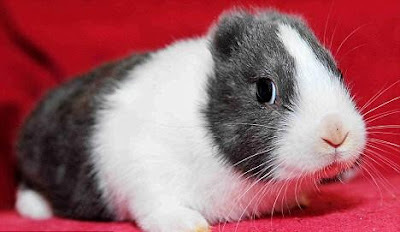 In fact on first glance he resembles a guinea pig rather than a rabbit. I've never seen one like that before,' said 16-year-old John from North Yorkshire. 'The rabbit is perfectly healthy, it's just got no ears. 'As soon as we saw him I knew I had to call him Vincent - Vinny for short - after Van Gogh. It made perfect sense,' added John. John and his mother Carol usually sell the rabbits they breed, but have decided to keep the healthy, yet distinctive bunny. 'John didn't even know that Rosie was pregnant,' said Carol. 'He went out one day and came back to find she'd given birth to about 10 rabbits. 'They have to be left alone when they are newborn but after about three weeks they began to venture out of their nest. 'I was watching John from the kitchen window as he took a look at them for the first time and he nearly jumped out of his skin. 'I ran out and saw Vincent and couldn't believe it - we've never seen anything like it before,' she added. The long ears of rabbits are most likely an adaptation for detecting predators, so not a necessity in domesticated animals. While Vincent's missing ears could simply be down to a genetic birth defect, there is another theory that his mother's over-zealous licking could be responsible. 'A friend who has experience with rabbits said it could be that when Vincent was first born his mum licked his ears so much they fell off,' said Carol.